With a spacious ballroom providing over 4,000 sq. 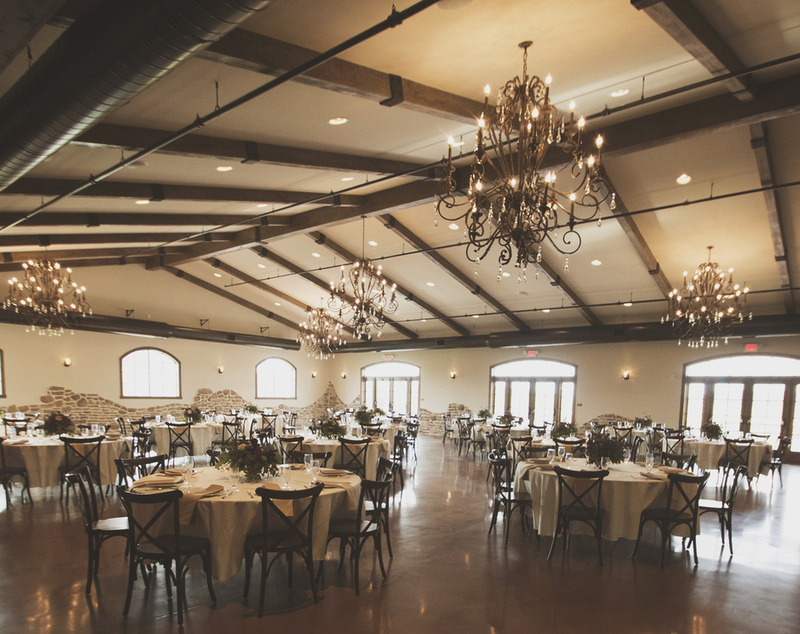 ft. of event space, Folino Estate graciously accommodates up to 220 guests for classic and re-imagined Italian fare, dancing, and entertainment. Our Italian vineyard inspired ballroom boasts grand 17 ft. ceilings, magnificent bronzed chandeliers, and a vintage wine barrel accent wall. These meticulously designed elements provide romantic, rustic elegance and a neutral backdrop perfect on its own or embellished with your own unique decor. Our for 54-acre property is a photographer’s dream. 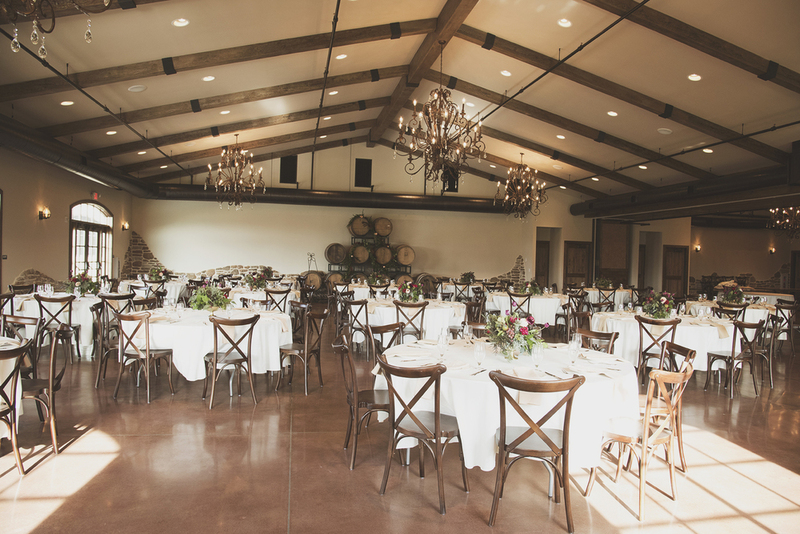 From our striking front entrance and cobblestone Piazza, lush vineyard, outdoor waterfall, and our wine barrel hallway, Folino Estate provides endless indoor and outdoor locations to capture beautiful memories you’ll treasure for a lifetime. Be sure to plan some shots at golden hour for breathtaking photos of sunset in the vineyard. Along with our first-class wedding events team, including a dedicated Wedding Coordinator for each couple, it is our highest honor to assist you in the planning of your wedding to make it as stress free and enjoyable as possible. Bridal Suite available three hours prior to and until 30 minutes after event. Check out the video for a virtual bridal tour of our beautiful space! Click below to schedule a tour with our wedding team and to request more information about our wedding options. Thank you for your interest in allowing Folino Estate to host your big day! We are closed Mondays and Tuesdays, however our events team will be in contact with you on the next business day. Autumn Harvest Winery Wedding at Folino Estate. Click HERE to see more.